Thank you for signing the Guest Book for Esther Reising. This Guest Book will remain online permanently courtesy of Werry Funeral Homes Inc. Please take a moment to sign the Guest Book for Esther Reising. Hugs and Prayers to the Reising Family. Gabe and Gayle, Your mother was an energetic soul who wholeheartedly supported the tennis team. Still I can see her marching down the aisle at the tennis awards ceremony. In her hand was a red lantern. She brazenly declared that the tennis courts needed lights. She was a good person just as you both are. How blessed we all are to have known people who are genuinely good. 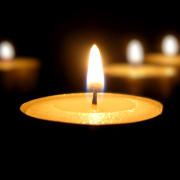 Our sincere sympathy for the loss you have experienced. May strength from God bring your hearts comfort. Matthew 5:4. Send me a daily email when updates are made to the obituary or Condolence page for Esther Reising.